Starting 2013, Manufacture des Montres Rolex S.A. will be the adding “official timekeeper” and “official timepiece” of Formula 1to its list of accolades. The Bienne manufacture, best remembered in the world of motor sports for supporting Les 24 Heures du Mans and the automotive charity event- Pebble Beach Concours d’Elegance (specifically vintage race-cars at the Rolex Monterey Motorsports Reunion) will solidify their brand profile as the name in automotive racing with this new commitment to Formula 1. Perhaps there’s some poetic symmetry to this announcement, for all the years spent lusting over the Rolex Daytona- the chronograph for racing drivers; It is fitting that we finally get to see a Crown at Grand Prix circuits around the world. 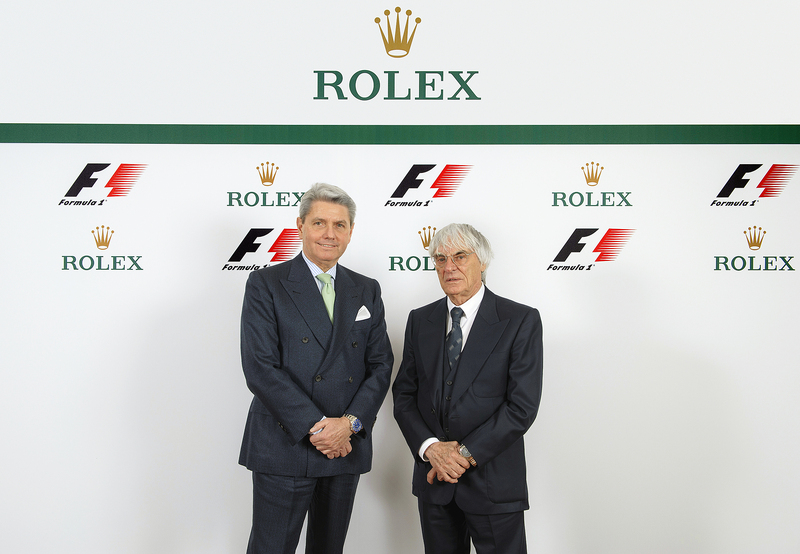 “This is an exciting step for us at Rolex as the fit between Formula One and our brand feels very natural and, like all great partnerships, needs little explanation,” Rolex CEO Gian Ricciardo Marini said. 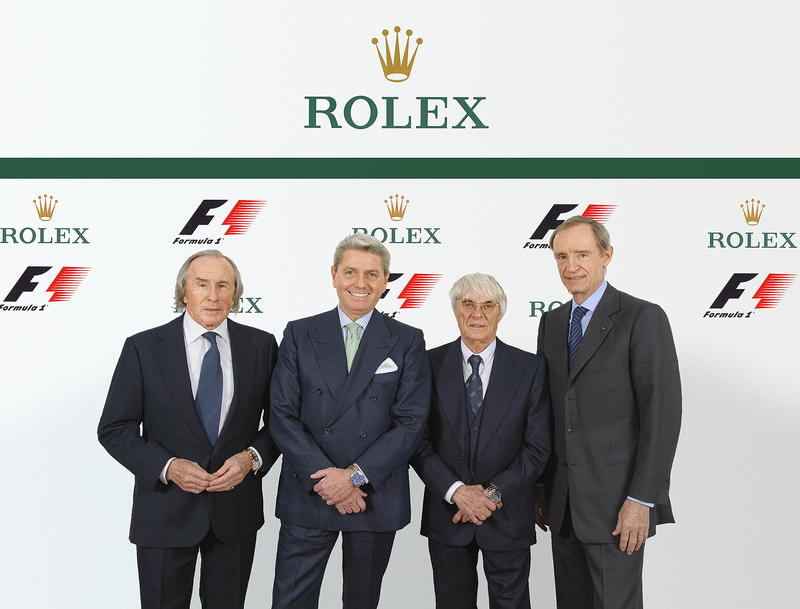 Indeed, for one of the world’s most iconic racing Cosmographs to not have a slice of Formula 1 after all these years, Revolution joins motor sport aficionados in celebrating the long term partnership for the leaders of time keeping and racing machines.